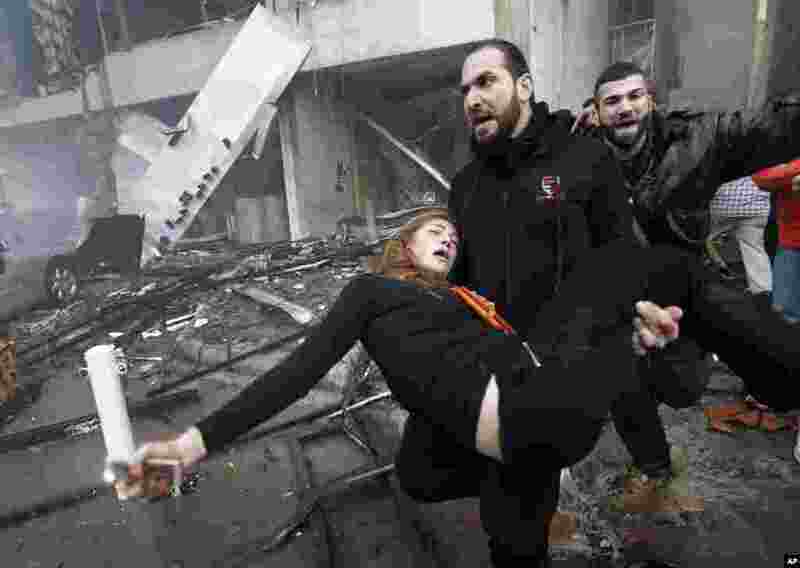 1 A man carries an injured woman away from the site of a car bomb explosion in a southern suburb of Beirut, Jan. 2, 2014. 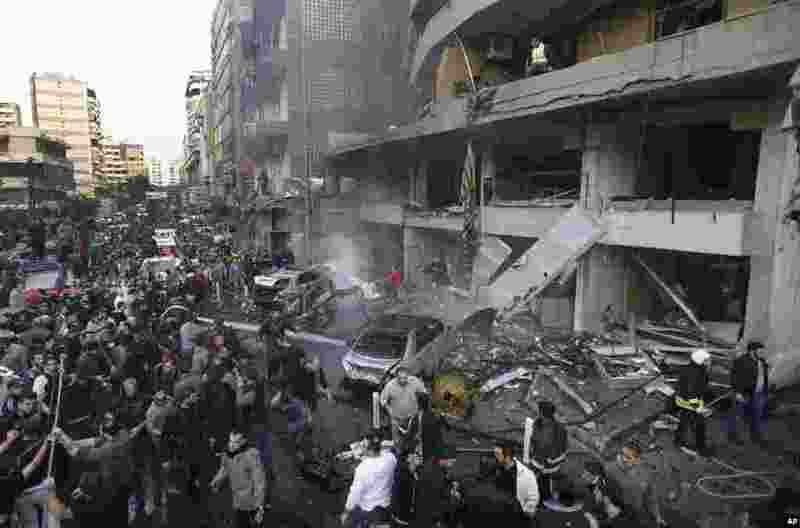 2 Lebanese citizens gather at the site of a car bomb explosion in a southern suburb of Beirut, Jan. 2, 2014. 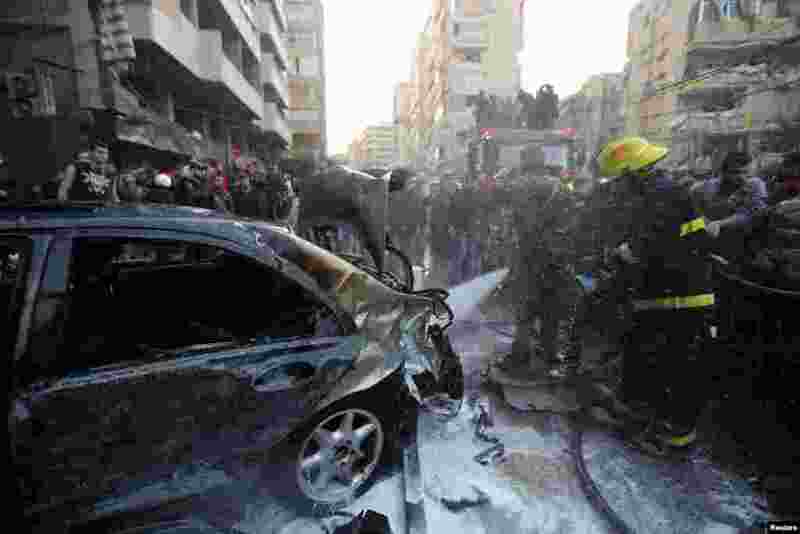 3 A firefighter extinguishes a fire at the site of an explosion in Beirut's southern suburbs, Jan. 2, 2014. 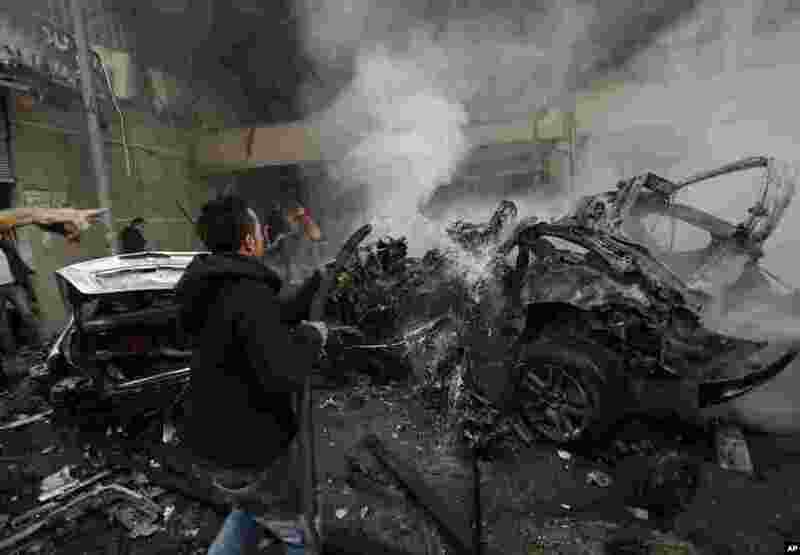 4 A man extinguishes burned cars at the site of a car bomb explosion in a southern suburb of Beirut, Jan. 2, 2014.